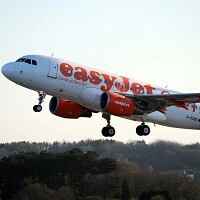 EasyJet has unveiled new routes it plans to launch next year. The budget airline will fly to Amsterdam, Alicante, Barcelona, Belfast, Faro in Portugal, Ibiza, Malaga in southern Spain and Majorca, from the Southend Airport. Tickets are already on sale and fares start from £23.99. Holidaymakers who are planning to catch a cheap flight to these destinations can now start shopping around for great travel insurance deals. EasyJet's customer and revenue director Catherine Lynn said: "This is an exciting time to be launching our routes from our newest UK base. "The airport is in a fantastic location just outside London with a fast rail link into the city." "The announcement of the routes really brings to life the exciting development of our airport," said Alastair Welch, Southend airport's managing director.